Fox VS. Chickens is a great double game pack for road trips, family vacations, or just good old fashioned game play at home. 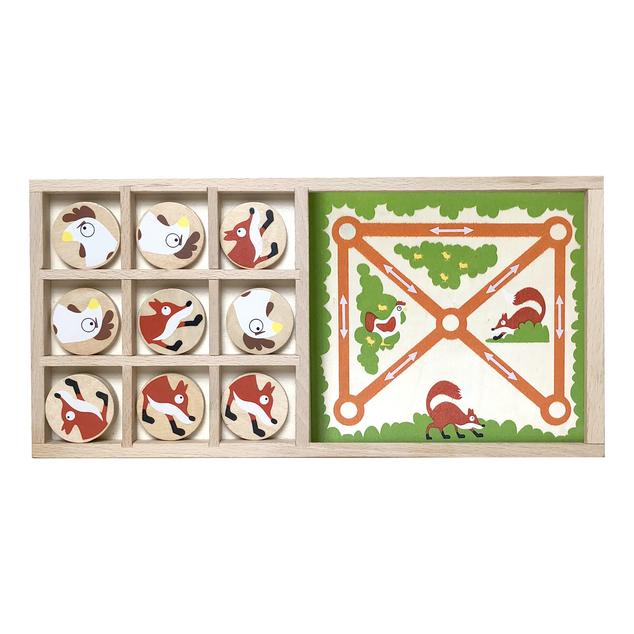 Kids love to play tic-tac-toe and with this game set we’ve also included a simple yet fun game called Farm Chase. 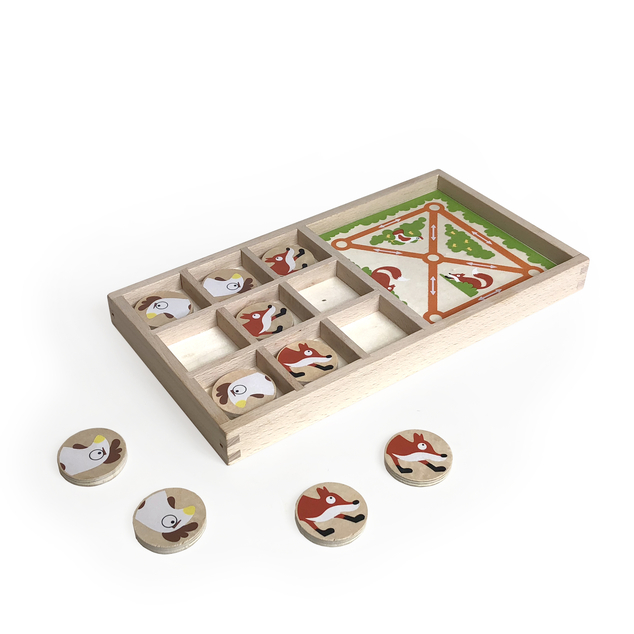 Perfect for travel, this compact game set is made from sustainably harvested woods and use water based stains.